why there is no priesthood or monasticism in Islam? a candle showing the way. and when you have reached the journey's end, that is the Truth. With evolution of human consciousness and changing need of new humanity from one great cycle to another, divine guidance and its modality changes as well. The principal and essence remains the same, but certain old ways or laws give way for new. Religious codes of any time reflect the need of that particular time as well as certain projected time in the future. What used to suit the social structure, norms and life style of certain generation can totally become obsolete and out dated, hence require new paradigm shift. When that time / cycle come to an end, new guidance arrive with the advent of new messenger or teacher or even with new interpretations (reforms). If we look at the Abrahamic lineage from which comes three great major world religions (essentially embodying the same message), Judaism, Christianity and Islam succeeding one another, we find that certain laws and ways metamorph to accommodate new needs and challenges of humanity. Even though the primordial focus has always been recognition of divine surrender, yet the laws and ways (sharia) which serve as vehicle for that surrender to take place did change over time. Lets take Sabbath as an example to illustrate the point of the fact that divine guidance do address the changing need of humanity. Under Mosaic Law, the divine guidance and prescription to the children of Israel (as a model to humanity) were commanded to refrain exclusively from all works on the Sabbath Day. There are deep wisdom in keeping the commandment of Sabbath, as a day set aside to turn away from the earthly engagement and re-juvinate in divine remembrance. But the sanctity of the day was grossly violated by many over many generations and also the commandment was abused. Very complex and elaborate laws were super-imposed concerning the Sabbath regarding what could be done and what couldn't to the extent that it made it a practice void of its spiritual focus. At the coming of Christ, he openly criticized the turning Sabbath into a heartless practice devoid of its true meaning and purpose, and reminded them that doing good on Sabbath day takes precedence over being passive. So Christ did exemplify being engaged on Sabbath day. Now in Islam, the Last Testament, Quran offers even more pragmatic practice. Friday is set aside as a weekly day of assembly to communal prayer and at the same time encourage people to engage in activities after the prayer is over. Another potent example can be cited to understand how divinely sanctioned modality address the need of humanity is the attitude towards divorce. In Judaism the right to divorce is only preserved with the husband and the wife cannot initiate divorce under Jewish law. A Jewish wife, however, could claim the right to a divorce before a Jewish court provided that a strong reason exists. The Court might support the wife's claim to a divorce but it cannot dissolve the marriage. Only the husband can dissolve the marriage by giving his wife a bill of divorce. "If a man marries a woman who becomes displeasing to him because he finds something indecent about her, and he writes her a certificate of divorce, gives it to her and sends her from his house.." (Deut. 24). Due to this reason and other associated complexity of a matriarchal Jewish society where once divorced, a woman certainly went through much trouble and neglects with almost no right left to the woman, Christ in his time disliked the idea of divorce all together and was fiercely opposed to the idea. The New Testament unequivocally advocates the indissolubility of marriage. It is attributed to Jesus to have said, "But I tell you that anyone who divorces his wife, except for marital unfaithfulness, causes her to become adulteress, and anyone who marries the divorced woman commits adultery" (Matthew 5:32). Although there was wisdom in the context of Jewish society and its practice, yet in modern world's context this uncompromising ideal is, without a doubt, unrealistic. Thus even though it is contrary to Christs teaching, the whole Christian world did have to accept divorce. Islam occupies the middle ground between Christianity and Judaism with respect to divorce. Marriage in Islam is a sanctified bond that should not be broken except for compelling reasons. Couples are instructed to pursue all possible remedies whenever their marriages are in danger. Divorce is not to be resorted to except when there is no other way out. In a nutshell, Islam recognizes divorce, yet it discourages it by all means. Islam does recognize the right of both partners to end their matrimonial relationship. Islam gives the husband the right for Talaq (divorce). Moreover, Islam, unlike Judaism, grants the wife the right to dissolve the marriage. This testifies the fact that with the progression to an evolved society, every new cycle of renewal of divine laws do reflect the need of the time. Thus from Judaism to Christianity to Islam, the progression is clear. The same example can be found in many other areas when it comes to divine guidance and ways shown by the illuminated beings from the one brotherhood of messengers such as Abraham, David, Moses, Christ and Muhammad, upon them all be peace and blessings. Islam being the third and final cycle of great Abrahamic faith tradition, after which no new divine revelation and guidance will be given to humanity as new rules until the second coming of Christ - finalizes the divine prescription and holds the balanced middle ground. Thus Muslims are called in the Quran as Ummat al wasat (the community of the middle way or balanced way). The purpose of creating 'the community of the middle way', according to this Quranic verse, is to make it stand as witness 'before all mankind and the Messenger might be a witness before you'. What this means is that when the whole of mankind is called to account, the Prophet, as God's representative will stand witness to the fact that he had communicated to the Muslims and had put into practice the teachings postulating sound beliefs, righteous conduct and a balanced system of life which is sanctioned by the Most High. This balanced system of life is also reflected on the question of why there is no priesthood or monasticism in Islam and this also has to do with the evolution of consciousness of new humanity which makes some old traditions obsolete. One of the hallmark of Islam is the dissolving the institutionalized priesthood and church. In the old ways since not many people could read or write, it was the priests who read the scripture for the mass, led prayers, administered religious rites such as rites of sacrifice and it was perfectly alright during that age. With the advent of Seal of Prophet, the institutionalized super structure of priests working as intermediary link between ordinary people and the Divine, has been dissolved. Priesthood was necessary at an earlier stage of human consciousness when the ability to read the scripture, let alone its comprehension was limited (sometime non existent with no literacy of the common mass) and only the priest class was privileged in reading and writing, so they could work as an effective communicator. There even in certain ancient tradition, priests were the only people who had permission (and ability) in a community to access the scripture (common people were forbidden to touch even) and read it. Truly We sent down the Torah, in it is guidance and light. The prophets who submitted (to God) judged by it (for the) Jew as did their Rabbis and scholars who judged by what they were entrusted with from the Book of God, and they all bore witness to it. 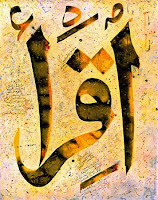 But with the revelation of Quran, which began by “Iqra” meaning, an unprecedented commandment “To Read”, to way of illumination of knowledge - was an affirmation that human consciousness has come to a new cycle of knowledge, direct and without intermediary (and now we perfectly understand what knowledge based society means, but on the spiritual level this knowledge based spirituality began with the first revelation of Quran about 1400 years ago, and it marked the beginning of a new way forward for Jnana Yoga, union through knowledge and gnosis). With the Last Testament or The Quran, the era of scripture being read only by the privileged priest class became obsolete. Each and every individual is invited to read the Message by the proclamation of 'Iqra' in the first revelation to Prophet Muhammad. Apart from the proliferation of knowledge, the institutional structure of priesthood also left lots of room for monopoly of religion by a very small group of people, namely the priests. Jesus Christ, the second last divine messenger, who's mission is highly characterized by his continual clash and opposition with the priest class or the pharisees. The problem of priests monopolizing and abusing the way of Truth has been a major problem by the time of Christ's mission and the whole structure is taken away with Muhammad, the successor of Christ in the following cycle of revelation. "The Priests and the Pharisees sit in Moses' seat. So you must obey them and do everything they tell you (out of respect of Mosaic laws sanctioned by God). But do not do what they do, for they do not practice what they preach. They tie up heavy loads and put them on men's shoulders, but they themselves are not willing to lift a finger to move them." "Woe to you, priests and Pharisees, you hypocrites! You shut the kingdom of heaven in men's faces. You yourselves do not enter, nor will you let those enter who are trying to. Woe to you, priests and Pharisees, you hypocrites! You travel over land and sea to win a single convert, and when he becomes one, you make him twice as much a son of hell as you are. Woe to you, blind guides! You say, 'If anyone swears by the temple, it means nothing; but if anyone swears by the gold of the temple, he is bound by his oath.' You blind fools! Which is greater: the gold, or the temple that makes the gold sacred? You also say, 'If anyone swears by the altar, it means nothing; but if anyone swears by the gift on it, he is bound by his oath.' You blind men! Which is greater: the gift, or the altar that makes the gift sacred? "Woe to you, priests and Pharisees, you hypocrites! You give a tenth of your spices- mint, dill and cummin. But you have neglected the more important matters of the law - justice, mercy and faithfulness. You should have practiced the latter, without neglecting the former. You blind guides! You strain out a gnat but swallow a camel. Woe to you, priests and Pharisees, you hypocrites! You clean the outside of the cup and dish, but inside they are full of greed and self-indulgence. Woe to you, priests and Pharisees, you hypocrites! You are like whitewashed tombs, which look beautiful on the outside but on the inside are full of dead men's bones and everything unclean. In the same way, on the outside you appear to people as righteous but on the inside you are full of hypocrisy and wickedness. Woe to you, priests and Pharisees, you hypocrites! You build tombs for the prophets and decorate the graves of the righteous. And you say, 'If we had lived in the days of our forefathers, we would not have taken part with them in shedding the blood of the prophets.' So you testify against yourselves that you are the descendants of those who murdered the prophets. Fill up, then, the measure of the sin of your forefathers! You snakes! You brood of vipers! How will you escape being condemned to hell? Therefore I am sending you prophets and wise men and teachers. Some of them you will kill and crucify; others you will flog in your synagogues and pursue from town to town. and so upon you will come all the righteous blood that has been shed on earth, from the blood of righteous Abel to the blood of Zechariah son of Berekiah, whom you murdered between the temple and the altar"
Its not surprising that after such fierce language of criticism by Christ, in the next cycle of revelation in the mission of the Seal of Prophet, the very structure of priesthood is totally abolished. The further we travel into the older traditions such as Hinduism, the deeper we find the role of priests and even deeper runs the misuse of priesthood. Whole elitist attitude of class system was designed by the priest class in ancient India to discriminate and separate people even within the same village or society. The discriminatory and racist creation of different caste system including the invention of the lowest caste, the dalits (the untouchables) has been a mater of shame for many modern day hindus of conscience. The abolition of priest class is also an abolition of a root cause of rift and separation and discrimination. Islam made the communication between individual and God direct by leaving no room or provision for priesthood. Anybody can lead prayer in an assembly and thus Islam empowered the individual. The equality of brotherhood and sisterhood of all of humanity now made uninterrupted. This was necessary and expected of the new humanity. Beside the power structure, abuse and misuse of the religious authority of priests in older traditions also made it the most pragmatic and fitting for new humanity. And we see this perfectly valid in modern day context. The priest class is in the rapid decline in both Christianity and Judaism as well as in older religious traditions. (Come fifty years from now, I bet you will find almost no people turning to priests for any matter of religion and the vocation might well come to extinct in another generation). In our time where priests still exist, less and less people are feeling their role as important as they used to hold in ancient society. This also affirms that the Final Divine Revelation through Quran and the Seal of Prophet being a step up prescription for new humanity as compared to the earlier laws given in Torah, Talmud, Gospel and its interpretations. With the coming of Islam, man now stands directly face to face to their Creator without the need of a priest at the altar. Islam not only did away with the altar and the super-structure of Synagogue and Temple but also the priests class, the pharisees who once held the sanctified role to ensure salvation. Now in the final cycle of divine law, human consciousness has progress to a maturity where salvation has no other dependency but upon the very human being. The place of Mosque (as a place of prayer and gathering) are much different than what a Synagogue used to be in Jewish tradition in terms of the exercise of religious power. And the Seal of the Prophet openly declared that the whole expansive earth is made a place of prostration Mosque for him (and by extension to his community) thus dissolving the exclusivity of one temple over another (as used to be and still is, the importance that the Temple of Jerusalem holds in Jewish tradition over any other). If we try to understand what was the original role of a priest, we understand that a priest used to be the link between the heaven and earth. 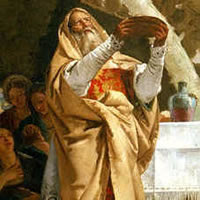 A priest devote himself to God and live a life of surrender and according to Judeo-Christian concept, a priest represent the role of Moses, Aron or Christ. A priests role used to be to sanctify himself. A priest is also expected to perform the corporal and spiritual acts of mercy among the people God places in his path. Now with the evolution and rapid progress of human consciousness, all human beings are capable to be empowered. Islam by releasing the role of priesthood, seeks to empower every individual so that they all can become the link between the heaven and earth, so that they all can sanctify themselves without depending on another. Islam recognize the equality of one brotherhood and sisterhood and all are equal in the eye of God, even in their communion with God. This seems to be well reflected as well in the teaching of Christ when he was addressing the priests and rabbis saying, "But you are not to be called 'Rabbi,' for you have only one Master and you are all brothers." So in eliminating priesthood, Islam makes a return to the original equality of man and direct communion with divine with nothing standing between him and That which is Most Holy. so that by means of it the surface of the heart may be made resplendent. End of first part. In the next post, why there is no monasticism in Islam us explored. Technology of the Heart: why there is no priesthood or monasticism in Islam?